Henderson police say four bodies were located inside a residence, including two juveniles, in what appears to be a murder-suicide situation. The incident occurred in a gated community near U.S. 95 and Paradise Hills Drive Thursday night. Police said just before 7:30 p.m. they received several calls about gunshots coming from a home located in the 1100 block of Paradise Garden Drive. Once at the scene, authorities discovered the home on fire. Firefighters then entered the residence and ultimately located the bodies of a 35-year-old woman, 27-year-old man, 15-year-old boy, and a 5-year-old child. The flames were extinguished and all four bodies found in the home appeared to have injuries consistent with gunshot wounds, according to police, from the result of an apparent murder-suicide. 13 Action News spoke with neighbors who say the couple was recently divorced. "It's terrible," said Valerie Garza, who lives next door. "My grandson plays with that little boy, I've been up all night." Family members have identified the woman killed in this incident as Selina Rowsell and her two sons: 15-year-old Arias Franco and 5-year-old Avi. A GoFundMe has been set up for the family. In an effort to keep you informed of important events happening within our school community, we wanted to let you know that there was an incident last night that involved fatalities that has impacted our school community. As a result, we wanted to let you know that we have counseling services available at our school today. We will continue to offer support as needed. 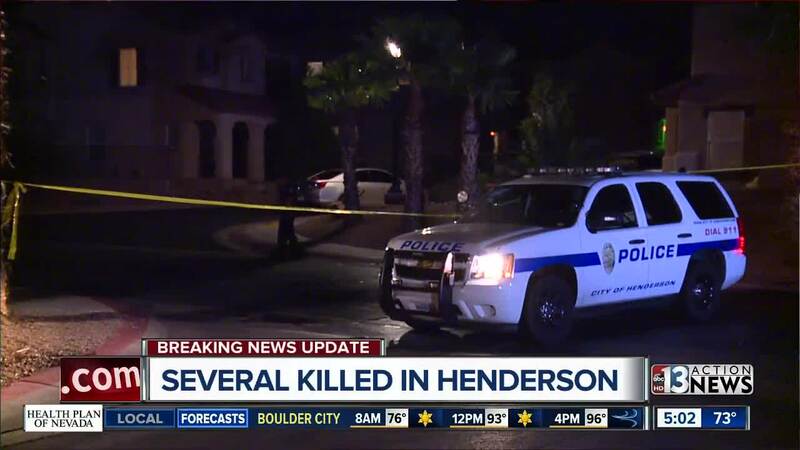 The woman and two juveniles killed were the ninth, tenth and eleventh homicides investigated by Henderson authorities so far in 2018. Police urged anyone with further information on this incident to contact Crime Stoppers at 702-385-5555.